His album ‘My Side Of The Story’ is written as a story book of his life. From love lost to his love of America. 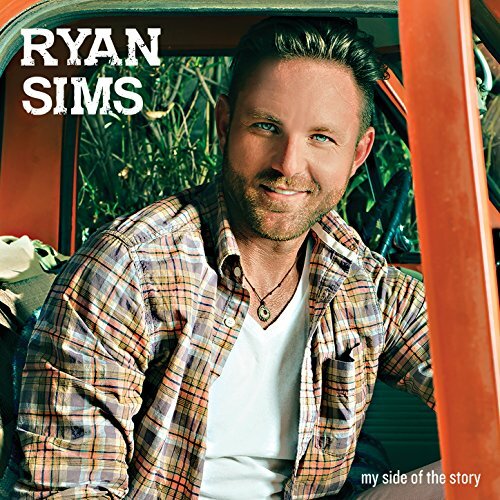 Ryan Sims may have a new country album but he is no stranger to the limelight. His album ‘My Side Of The Story’ is written as a story book of his life. From love lost to his love of America. Ryan Sims may have a new country album but he is no stranger to the limelight. He helped co-found the band EastonAshe. Then in 2011, he was invited to go onto the X Factor. He explains that the X Factor taught him a lot about himself and taught him how to be a better musician. His album ‘My Side Of The Story’ is written as a story book of his life. From love lost to his love of America. Ryan Sims may have a new country album but he is no stranger to the limelight. He helped co-found the band EastonAshe. One writer wrote that Ryan Sims gravely voice was reminiscent of Matchbox 20’s lead singer Rob Thomas. You can definitely hear some of that in songs like “Red Head”. Ryan Sims co-wrote every song and had a star-driven band behind him. He expertly melds both country and rock by bringing together artists from both genres, like Jason "Slim" Gambill (Lady Antebellum, guitars), Darryl Jones(Rolling Stones, bass), Kenny Aronoff (John Fogerty, John Mellencamp, drums) and Kim Bullard (Elton John, keyboards). “Get Away” is the first single and is a guitar driven solid song. It is relatable to just about everyone. This is the song for every person in the world. Everyone needs a getaway. This song gets you so ramped up to get away that you are almost ready to pack your bags and book a ticket to Cabo or Hawaii, and you’ll be singing the chorus the entire drive to the airport. “American Things” is a solid song and very reminiscent of The Black Crowes. Kenny Aronoff, a superstar drummer (John Fogerty, John Mellencamp) just keep your body moving the entire song. With the mention of Dairy Queen and working on your car you suddenly get a feeling that it's summer, you're driving with all the windows down, radio cranked and singing along with the song, as loud as you can. Add in Jason "Slim" Gambill of Lady Antebellum’s guitar work and you have a hit song, I imagine we will all be hearing this song black from the radio come June. “Black and Blue” a laid-back heartbreak song that everyone can relate to. This is the song that will be played over and over again in someone's house going through a breakup. It will become part of their healing process. Jason Gambill’s mandolin work fits perfectly within the song and adds a perfect layer of country and heartbreak. “Tragedy” is another song that has the protentional to be a hit. The lyrics “I’m just a square peg and you are a round hole” seems to explain every relationship that has ever gone bad for no reason. When Ryan’s voice really gets gravelly you can hear the rock inspiration and a little bit of Rob Thomas. It makes it instantly likable and dare I say, even a possible crossover. “Red Head” Is a beautiful song born of heartbreak. The song with the guitar work of Jason Gambill and the keyboarding skills of Kim Bullard (Elton John, keyboards), is both sad, self-reflecting and calming at the same time. “Little Ms. Bad Decision” like most of his songs this song is based on his life and a bad romance. It immediately makes you unconsciously start singing along with it. So, unlike some albums that you hear today, every song on this album is like peeking into Ryan Sim’s soul, heart, and mind.